For my birthday this last year, two of the older kids who are very talented cupcake cooks made me a batch of walrus cupcakes! Clearly, I am something less than a professional cupcake photographer, so the total amount of cuteness is not properly communicated in this shot. Also – there’s a high degree of “chocolate sprinkles all over the place” involved here. 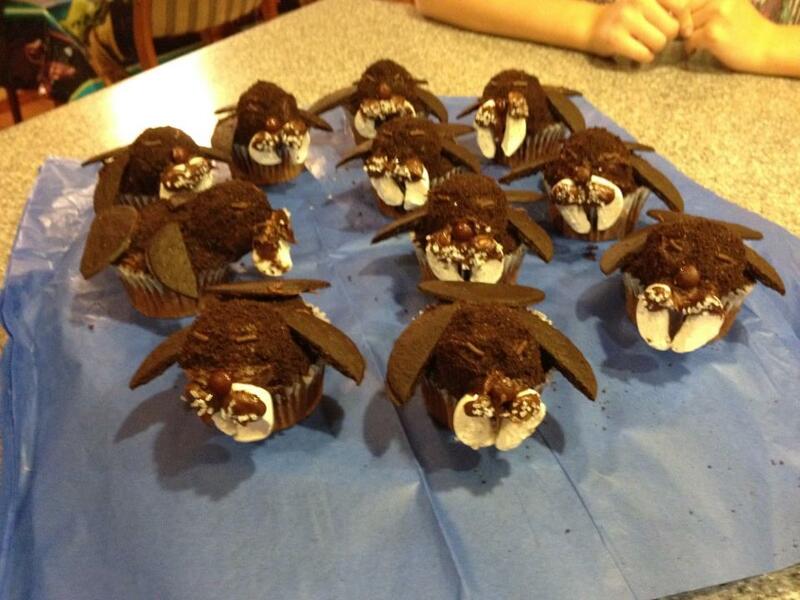 Still, though – walrus cupcakes!
. If you want a bunch of fun cupcake recipes – I highly recommend this book. There’s an alternate recipe from the book Hello, Cupcake! : Irresistibly Playful Creations Anyone Can Make – and there’s even a YouTube video showing how to decorate the cupcakes.